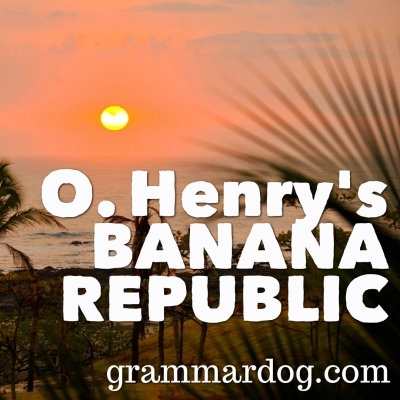 O. Henry’s Banana Republic :: Grammar, style, and proofreading quizzes use sentences from literature. 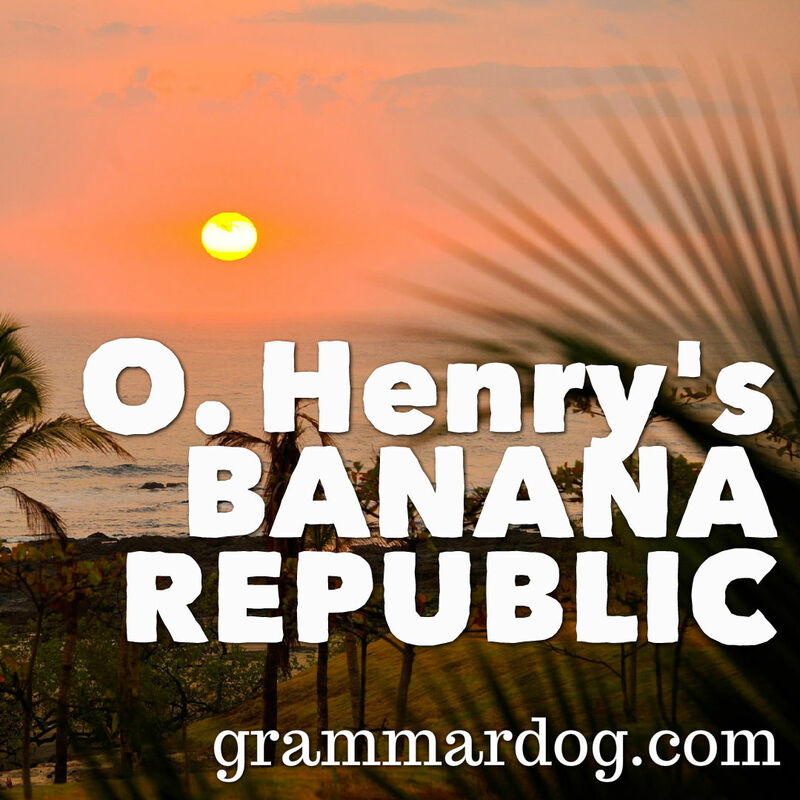 How did O. Henry wind up in Honduras? O. Henry’s real name was William Sydney Porter. The author of beloved stories like The Gift of the Magi was also a criminal. Porter was arrested in 1896 for embezzling from the First National Bank of Austin, Texas. The day before his trial, Porter skipped town. He took a train to New Orleans and then a boat to Honduras. While holed up in a hotel, he wrote the novel Cabbages and Kings set in a fictitious Latin American country. In the novel, Porter coins the expression banana republic that refers to countries in Latin America whose economies are dependent on a single resource such as coffee, sugar, silver, copper or bananas. Porter also invents the stereotype of the cigar-smoking former general who is the ruthless dictator at the helm of an unstable, corrupt government in Latin America. After six months in the tropics, Porter returned to Austin when word reached him that his wife was dying. He was tried and convicted of the federal crime of embezzlement and sentenced to five years in prison. Porter spent his prison years writing short stories under the pseudonym O. Henry. Getting the stories published from prison was tricky. He mailed the manuscripts to a friend in New Orleans who would then send them to various magazines. Porter was released from prison after three years for good behavior. He moved to New York City where he wrote 381 short stories and enjoyed considerable fame. A heavy drinker, Porter died in New York at the age of 47 and is buried in Asheville, North Carolina where he owned a summer home.